96% of Chronic Illness is invisible… But just because a persons illness is invisible it doesn’t mean they are. It reminds me of a well known saying ‘never judge a book by its cover’. Looks can be deceiving, and this quote is so fitting when it comes to life with Lyme. Don’t get me wrong, I wouldn’t ever want to look sick. To be honest thank goodness I don’t look like what I have been through, for it definitely wouldn’t make a pretty picture! But at the same time, living through a chronic and complex disease when you ‘look well’ really isn’t easy either. When you step into a doctors surgery or hospital in the UK with Lyme Disease, you are looked down upon and told you must have depression or are seeking attention. I have been clearly asked on more than one occasion, ‘are you unhappy in your life? Would you like to see a counsellor?’. I can’t even begin to explain the hurt and upset that hits you when you hear these words, purely because it is their way of saying to me that this illness doesn’t exist and it must be all in my head. These medical practitioners are the very people I thought I could go to for help, yet help seems to be the very last thing I can get, more like no help at all. This lack of knowledge, ignorance and the neglect surrounding Lyme in a world of modern medicine is pure madness, though ‘we’ the patients are made to feel like we are the mad ones! In the last year I have been to A&E on 9 occasions as a result of painful complications from what at the time was an undiagnosed illness. These included chest pains, rectal bleeding, dehydration from continuous nausea and vomiting, kidney and bladder infections and excruciating migraines…this is just to mention just a few! All of which required some sort of treatment or further investigation as an outpatient or through impatient admission, but every occasion felt like a huge battle. Through tears, frustration and massively increased levels of pain, I still had to fight to be heard. I don’t really feel that at any one of these times my feelings were actually taken into consideration. I was flippantly told on one day that it must be Lymphoma Cancer, and other diagnosis ranged from Malaria to bold clots. Months down the line when they were still totally baffled by my symptoms I was then told ‘that there was nothing else they could do to help me’. I eventually had a diagnosis of Lyme Disease after paying out of pocket thousands on investigations and sending my bloods to the USA, but the fight for my health did not end here. It was just another nightmare chapter of which was only just beginning. I thought that not knowing what illness I had was difficult, but to be honest having a diagnosis and being clearly refused treatment is just as much of a struggle. In the eyes of the NHS my illness doesn’t really exist. I sit here now and wonder, how would they would respond being treated in this way. It’s not a great feeling to be ‘given up’ on or to feel like you are wasting a hospital bed, when you feel debilitating pain from head to toe. I once asked a doctor directly, how he would feel if this were happening to him or a member of his family…he was speechless and answered with a shrug of his shoulders. This lack of answer said it all. The fact is if it happened to him or any other doctors, treatment methods would take on a whole different approach. Lyme Disease is just one of many chronic illness’ which is highly misunderstood, not only here in the UK but world wide. There is very little accuracy within the current testing methods available in this country, which as a result means a lack of diagnosis or a highly inaccurate prognosis. Medics are currently unaware of how or if the bacterial infection can be transmitted among other humans, or what the long term consequences are after being bitten and untreated. There are just so many questions, and currently no where to go for the answers.There is no publicised Lyme Disease campaigns that are backed with positive media coverage or celebrity patrons. The few UK charities that do exist are struggling due to limited funds. There is no support for patients or for carers, we remain isolated as we struggle to be heard and acknowledged. This disease is a hidden epidemic and the medical system needs to stop with the denial before more lives are destroyed and even worst lost. People die from the complications of this illness, it suppresses the immune system and therefore your body becomes more susceptible to other infections and virus’s, on top of the multiple ones it is already infected with from the tick bite. There is currently not one clinic in the UK which is set up to deal with the complexities of Lyme or co-infections, Thank goodness for my truly awesome doctor in USA, she really is a superhero…I’m still convinced she has a magic cape hidden somewhere in her office! It’s a real struggle to continue treatment from a distance, away from the safety net of a team of doctors and nurses who really understand tick-borne diseases on a much greater level, but I would rather this long distance help any day, then no help at all. This disease has not only become such a physical strain but it has also become increasingly difficult to deal with on an emotional level too. I turn 30 this year and I can’t help but feel sad for the life I am not able to live. I would love more than anything to go back to work, to succeed and to socialise. The fact is although I am living I feel I am very much not having a life. I am determined though to keep fighting as I don’t want to be defined by this illness. I have always had dreams and aspirations and these are never going to go. I have worked hard my whole life to be something and I’m not prepared to allow a tiny tick to destroy my chances of happiness and to stop me from achieving at least some of my goals. If anything this illness is just going to make me even more determined to fight until I become symptom free and I will then share this hope with others. I finish off today’s post with a quoted paragraph by Medical Doctor, Kenneth Leigner… “In the fullness of time, the mainstream handling of chronic Lyme disease will be viewed as one of the most shameful episodes in the history of medicine because elements of academic medicine, elements of government and virtually the entire insurance industry have colluded to deny a disease. This has resulted in needless suffering of many individuals who deteriorate and sometimes die for lack of timely appreciation or denial of treatment”. Previous Post The £20,000 Tick Bite… and the rest! Such dismissive words to the ill, “You look great.” Yeah but….do you care how I am really doing? I’ve just found your blog. The bones of your story is my story. And I live in Germany where there is supposed to be so much more awareness of the illness. There is. Everyone knows about it. But the ignorance amongst doctors on how to treat it is breathtaking. 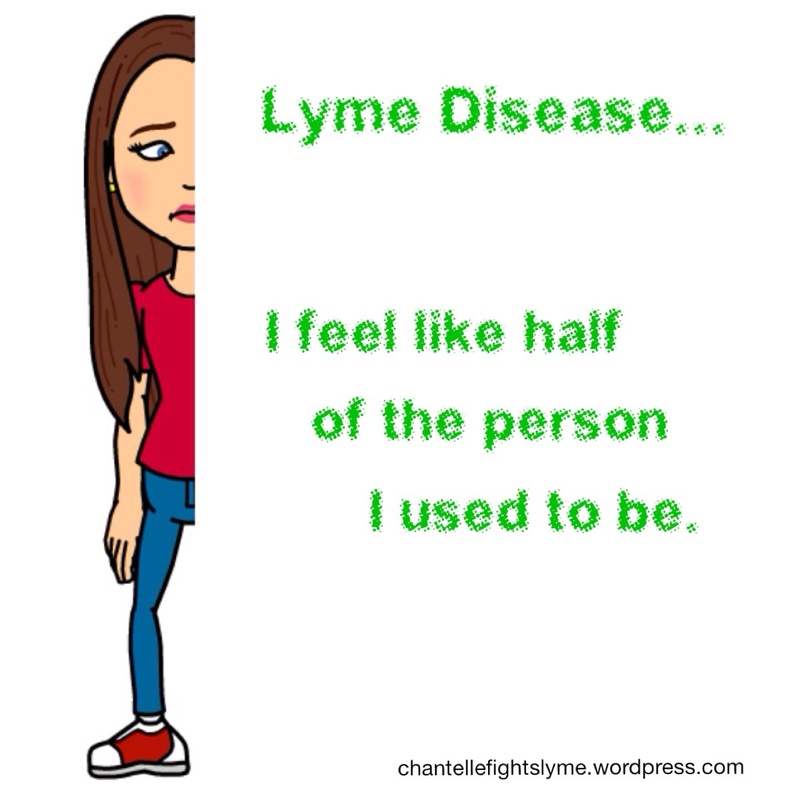 I do have an amazing doctor who with intensive antiobiotics helped me greatly but I think I need a wider approach and the knowledge of other Lyme experts. I think he’d be willing to work with them. Could you let me have the name of your doctor in the US (not sure if I have the funds to go there) and also the doctor in the UK that helped you (more likely that I could make it there)? I’d be extremely grateful. It’s so hard getting good information. I’m on the Cowden Protocol at the moment. Your blog is very clear and positive, and that’s a great help to others like me. The situation regarding treatment has got to change.